Costs alone should not guide treatment decisions. 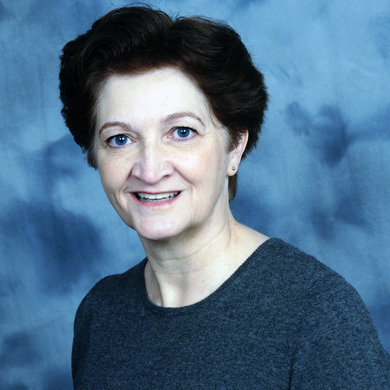 For 25 years, Dr. Linda Burns, MD, cared for patients with acute myeloid leukemia (AML) at the University of Minnesota in Minneapolis. She strived to give patients the best care possible. But too often she made decisions based on what treatments her patients’ insurance would cover. Now, Burns is furthering the conversation about the value of AML treatments. Her goal is to find opportunities to reduce costs without restricting access to appropriate treatments. Dr. Linda Burns, MD, vice president and medical director of Health Services Research at the National Marrow Donor Program/Be The Match, believes that costs alone should not guide treatment decisions for AML patients. In reality, even those costs are not well understood. Physicians and patients lack access to the prices of treatments and procedures. To shed light on the costs for AML treatments, Burns and her colleagues analyzed the Truven MarketScan database of private insurance claims from 2007 to 2011 for patients aged 50 to 64 who were treated with either chemotherapy or chemotherapy and stem cell transplantation. Their recently published findings demonstrate the expense involved in treating this rare disease. There are two primary treatment options for AML: chemotherapy alone or in combination with a stem cell transplant. 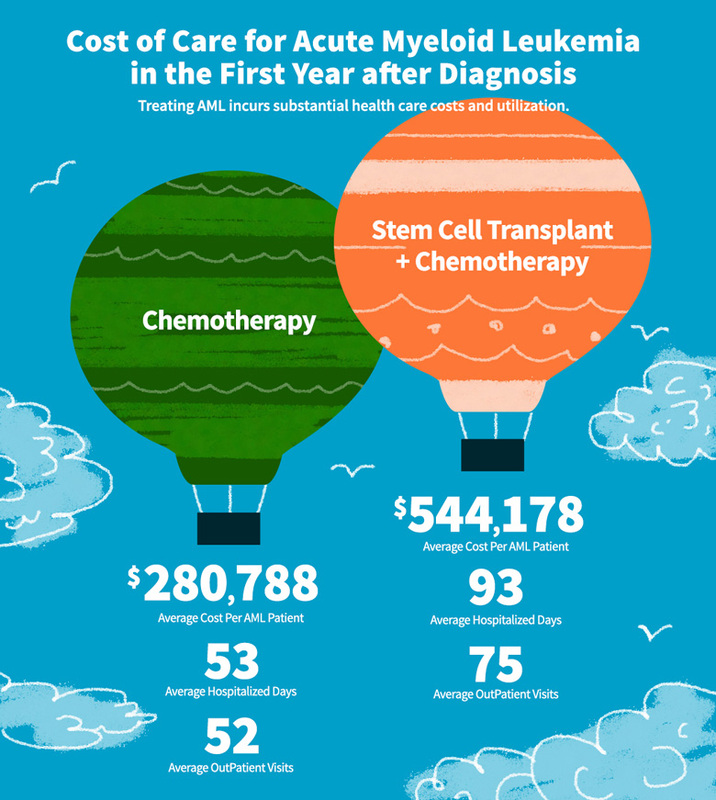 While stem cell transplants cure more patients than chemotherapy alone, the procedure in combination with chemotherapy costs over $540,000 on average. Patients who undergo this aggressive treatment option need lengthy hospitalizations that drive up the total costs. On average, patients had five hospitalizations, 92.5 inpatient days and 74.5 outpatient visits. The study provided a price benchmark for AML treatment costs. Now, further information about how the treatment improved or extended the patient’s life is needed to understand the value that those treatments create for patients. To this end, Burns and her colleagues are linking cost data to patient health and outcomes information. It’s important that we understand the value of AML therapies within the current treatment landscape and ensure patients have access to them as well. The question of value will only grow in importance as new options for AML become available. Progress in AML treatment has been slow over the past 40 years, but clinical trials are exploring therapies that target specific molecular genetic changes in the disease. As we continue to better understand AML and can more precisely target the disease, new treatments have the potential to improve outcomes and, therefore, may help to relieve burdens on the healthcare system.